To get started with Electron, check out the resources below. Learn how to wrap your web app with Electron, access all the APIs, and generate installers. 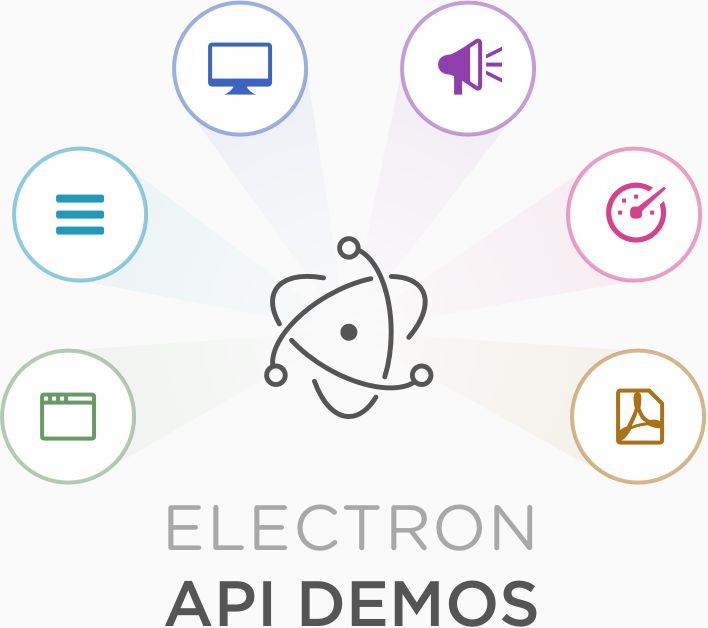 The Electron API Demos app interactively demonstrates the most important features of the Electron API. See what's possible with Electron with sample code and helpful tips for building your app. A minimal Electron app with helpful notations. Or dive deeper and read the documentation. Ask questions in the Discuss forum or our Slack channel. Follow @electronjs on Twitter for important announcements. Need to privately reach out? Email info@electronjs.org. An easy way to keep notes, lists, ideas and more. View more apps or submit your own.